What's killing white, middle-aged, poorly educated American men? Noam Chomsky suggests it's a sense of hopelessness that may be fueling Donald Trump's popularity. 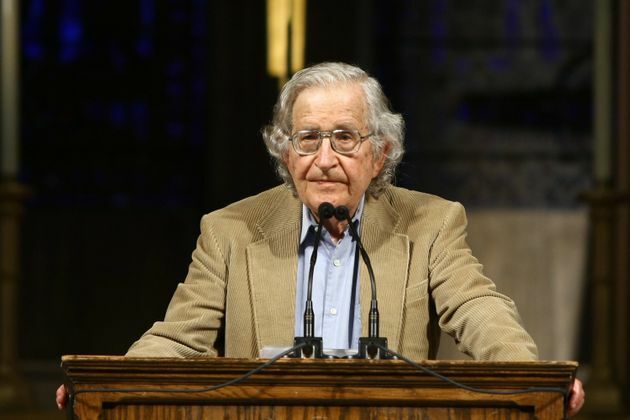 Noam Chomsky, the renowned scholar and MIT professor emeritus, says that the rise of Donald Trump in American politics is, in part, fueled by deeply rooted fear and hopelessness that may be caused by an alarming spike in mortality rates for a generation of poorly educated whites. Trump's rise as the Republican presidential front-runner has been confounding for Americans across the political spectrum. The bombastic, billionaire demagogue has won three of the first four primary states and holds a lead in the polls, both nationwide and in upcoming primary contests. He now appears poised to take aninsurmountable delegate lead over the next several weeks, based on a platform of hate and vitriol targeted at women, Latinos, Muslims and other minorities. Poorly educated, middle-aged American white males are particularly affected,multiple recent studies suggest. While Americans from other age, racial and ethnic groups are living longer lives than ever before, this particularly segment of the population is dying faster. CORRECTION: A previous version of this story misstated that a study on rising death rates for middle-aged white Americans received a Nobel Memorial Prize. It was, in fact, one of the authors of the study who won the prize for other work. How Would Trump's Muslim Ban Affect Pakistanis? Trump Is Right: Time to get Tough on China !! !